In an unnamed Middle Eastern security state, a young Arab-Indian hacker shields his clients--dissidents, outlaws, Islamists, and other watched groups--from surveillance and tries to stay out of trouble. He goes by Alif--the first letter of the Arabic alphabet, and a convenient handle to hide behind. The aristocratic woman Alif loves has jilted him for a prince chosen by her parents, and his computer has just been breached by the state's electronic security force, putting his clients and his own neck on the line. Then it turns out his lover's new fiance is the "Hand of God," as they call the head of state security, and his henchmen come after Alif, driving him underground. 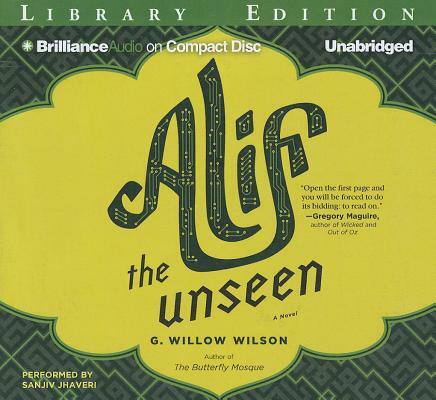 When Alif discovers The Thousand and One Days, the secret book of the jinn, which both he and the Hand suspect may unleash a new level of information technology, the stakes are raised and Alif must struggle for life or death, aided by forces seen and unseen.